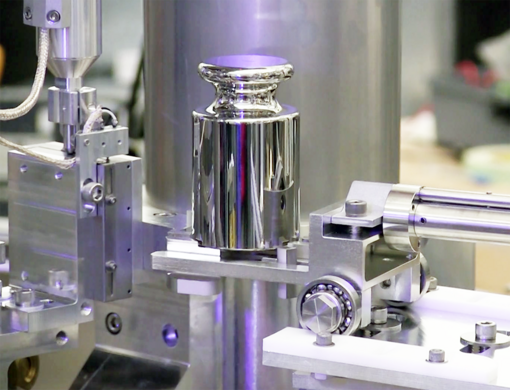 The National Institute of Standards and Technology (NIST) is the official custodian of the Kilogram Prototype, a 128-year-old glistening platinum iridium cylinder that serves as the theoretical starting point for all derivative weight calibrations in the United States. The idea of measurement standards goes back to ancient days and is an essential foundation for trade and commerce; you can’t exchange treasure for food without first agreeing how much of each is on the table. But it wasn’t until the Age of Enlightenment that serious efforts were made to agree on international standards to replace the inconsistent hodgepodge of regional pounds, feet, and miles. 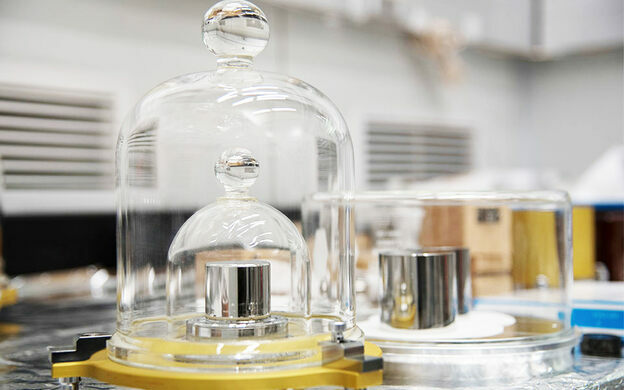 In 1875 an international conference ratified the Treaty of the Metre and recognized France’s Le Grand K as the mother standard against which all other standard kilograms would be set. This represented a major scientific breakthrough for the world community but still involved a degree of grease and sweat manual labor. 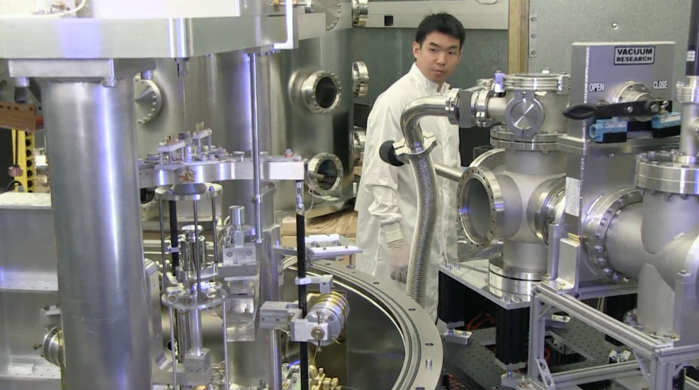 NIST mechanical engineer Dr. Jon Pratt tells us that “they declared one weight as The One, and literally sat down with polishing stones” rubbing away at the derivative standards until they all matched the mother kilogram. The standards were compared against each other using nothing more than an equal arm balance (picture the Lady Justice image) but were astoundingly accurate nonetheless. In 1899 the 20th derivative of Le Grand K was finished and set sail for American shores. The government has brought it out very sparingly over the years in order to safeguard its integrity, and has several derivative “working standards” that actually see day to day use. The National Prototype currently lives 60 feet underground in NIST’s Advanced Measurements Laboratory in Gaithersburg, Maryland. The facility is an exemplar of the extreme safeguards humanity is capable of erecting when they really, really want to protect an object. The Measurement Lab precisely controls for temperature, humidity, vibration, and electromagnetic interference. Part of it is also a giant Faraday cage. Dr. Pratt explains that the most sensitive parts of the lab “sit on a forty ton isolated concrete block that floats on air springs,” and that it’s actually immune to the vibrations caused by ocean waves crashing against the shoreline. 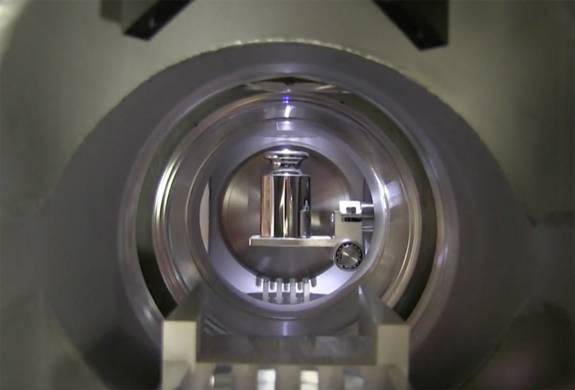 Despite the safeguards in place, international kilogram standards have started to minutely drift away from each other as little specks are polished off during cleaning, or molecules are absorbed by the cylinders (it’s difficult to say which is occurring). 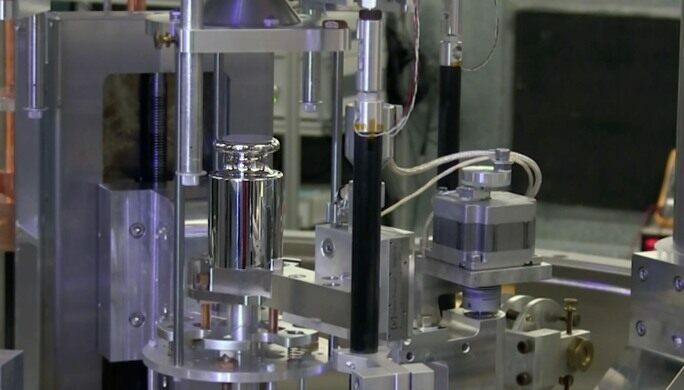 The scientific community is currently redefining the kilogram, a change that will move the weight definition away from a “golf-ball-sized artifact at one location, and basing it instead on a constant of nature.” In 2018 it will be tied to the Planck Constant. The Advanced Measurements Laboratory is a restricted space, but other standards are on display at the NIST museum for staff, associates, and their registered guests. The whole world in one water tank. 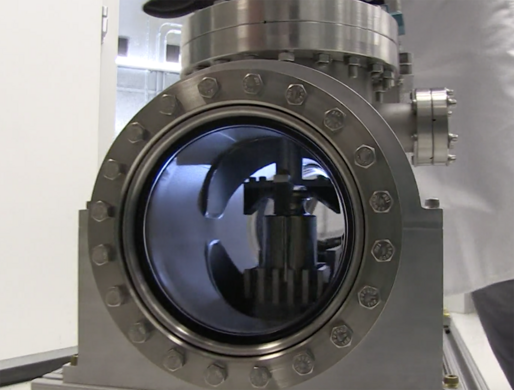 The global standard for the exact mass of one kilogram sits under lock and key outside Paris. This historic system is the zero level benchmark for measuring the depths and altitudes of the Baltic.